Kevin Pietersen dropped a strong hint that he has retired after the polarising former England star decided not to join Quetta Gladiators in Lahore for their Pakistan Super League play-off. Pietersen helped Quetta qualify from the group stages in the Twenty20 tournament, but with the event now moving from the UAE to Pakistan, he appears to have opted to bring down the curtain on his controversial playing career. The 37-year-old batsman hinted at his long-expected retirement with a Tweet which simply read "Boots Up! Thank you" before expanding on his situation on Saturday. "Someone just tweeted to tell me that I scored 30000+ runs including 152 fifty's & 68 hundreds in my pro career," he wrote on Instagram. "4 Ashes wins. Home & away! T20 WC win. Beaten India in India. Home & away 100's in all major Test nations apart from Bangladesh. "All dedicated to my family who have just been the most unreal supporters through thick & thin! I'm super proud of everything! "Thank you for all the quite lovely msgs! I loved entertaining you all! Ciao, cricket! I love this game!" A post on Quetta's Twitter feed read: "You will be missed @KP24 Great career!! Thank you for everything. Wish you could stayed with us till PSL final but we respect your decision." South Africa-born Pietersen is believed to be ready to move on from cricket as he devotes more time to his conservation work with rhinos. England's second-highest run scorer across all three forms of the game, Pietersen won four Ashes series and hit 8,181 runs in 104 Tests. He has been away from the sport's top level since his England exile started in 2014 when he was a high-profile casualty of an Ashes thrashing in Australia. 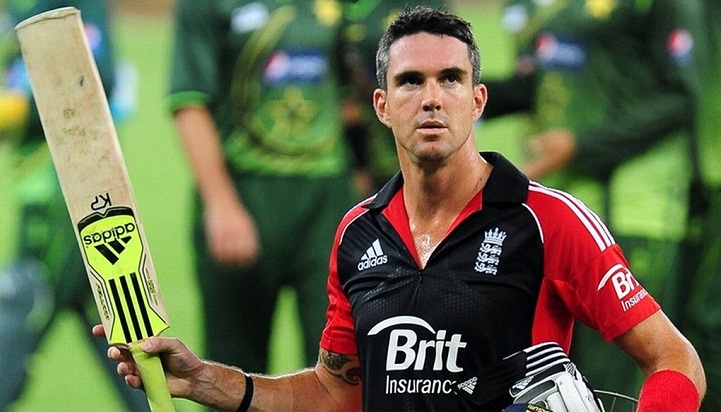 The flamboyant Pietersen's attitude on the tour was criticised by some within the England camp. He tried to revive his Test career, hitting an unbeaten 355 for Surrey, but it was not enough to convince the England and Wales Cricket Board to take him back. He embarked on a nomadic T20 career after that, taking in all corners of the globe. Pietersen, who had a brief and ill-fated spell as England captain, will be best remembered for his sublime innings of 158 in the fifth Test against Australia at The Oval in 2005. That heroic effort ensured England got the draw they needed to finally reclaim the Ashes, with he also produced epic knocks of 227 against Australia in Adelaide in 2010 and a brilliant 186 against India in Mumbai in 2012. Given his often divisive nature, it was fitting that Michael Vaughan, a former England captain, admitted his old international team-mate was a tremendous talent, even if he wasn't always easy to deal with. "Well done KP on an fantastic career. Not everyone's Cup of Tea but you will do for me. Best Batsman I had the pleasure to play with. 1st England batsman that put fear into the Aussies," Vaughan tweeted.